Justin Randall Timberlake (born January 31, 1981 in Memphis, Tennessee) is a Grammy Award winning singer, Emmy Award winning actor, producer and dancer. At a young age of 4, Timberlake already had a love for music. Joining singing competitions as early as age 7, he was coached by well-renowned child coach Bob Westbrook. After an appearance on Star Search, he continued his dreams, beating out thousands of kids to join the cast of Disney's Mickey Mouse Club. At age 15, he rose to commercial fame as one of the frontmen of the hugely successful pop group *NSYNC in the late 90's that debut in 1995. The group was a sensation, making a place for themselves in the music world with a succession of top-selling albums and singles like Bye Bye Bye and This I Promise You. He released his debut solo album Justified in 2002, cranking out hits like Rock Your Body, Like I Love You and Cry Me A River. It was certified 4 times platinum by the RIAA, with Timberlake winning Best Pop Vocal Album and Best Male Pop Vocal Performance at the 45th Grammy Awards. After a string of sold-out world arena tours, 40 million records sold (in addition to his 55 million albums sold with *NSYNC), 3 #1 singles, awards from the AMAs, VMAs, BRITs, World Music Awards, EMAs, VH1 Quadruple Threat recipient, Timberlake solidified his position as a pop superstar. 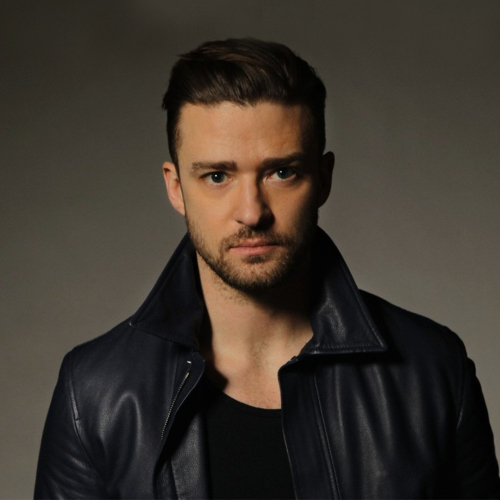 Timberlake's work has earned him six Grammy Awards and four Emmy Awards. Aside from music, he also has a thriving acting career, with leading roles in movies like Alpha Dog, In Time, Black Snake Moan, Friends With Benefits and the Oscar-nominated film The Social Network. On October 19, 2012 he married longtime girlfriend, actress Jessica Biel at the Borgo Egnazia resort in Fasano, Italy. He is a five-time host on the popular sketch comedy show, Saturday Night Live. His other ventures include record label Tennman Records, fashion label William Rast, and the restaurants Destino and Southern Hospitality. He revealed his upcoming track on his anticipated album would include a song Mirrors, that would be dedicated to his wife. In 2013, he officially resumed his music career with his third album The 20/20 Experience. The album sold over 580,000 digital copies on iTunes during its first week, becoming the fastest-selling album in iTunes history. It is already certified double-platinum two months after release. His fourth album, "Man of the Woods", was released on January 29, 2018.